Reposted, with permission, from California Newswire. 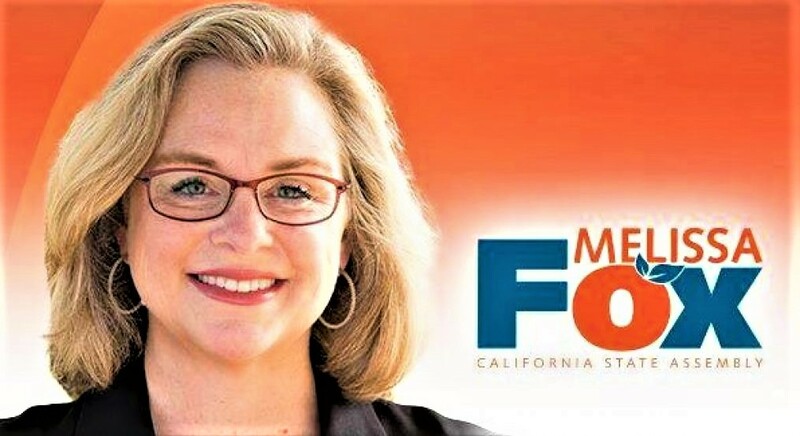 IRVINE, Calif. /California Newswire/ — California-based Alegria Fresh, in collaboration with Orange County Produce, LLC and Filtrexx Corporation, today announced the launch of the “Farm of the Future” hydroponic and organic farming demonstration center at the Great Park in Irvine. The demonstration center, which features high-performance urban hydroponic vertical and organic farming methods, just completed a new organic food production farm using GardenSoxx. 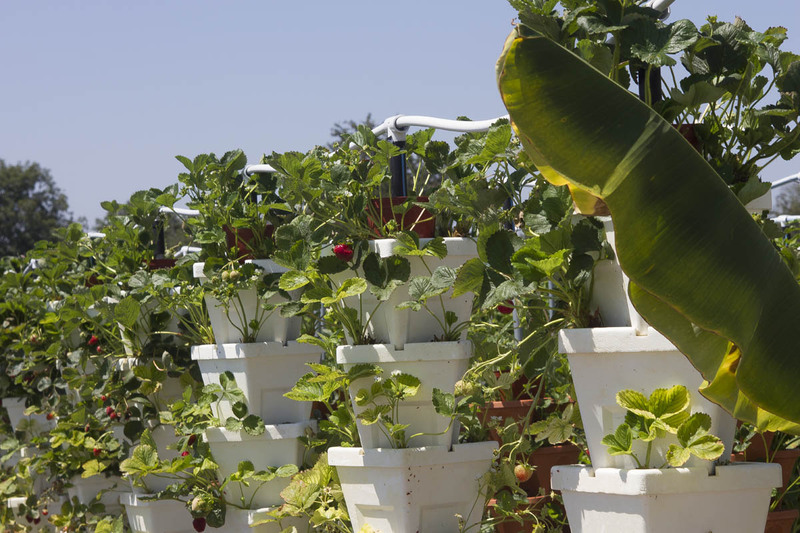 GardenSoxx is an innovative organic food production system that can be used over cement or other man-made surfaces. The “Soxx” are made of eight inch diameter polypropylene mesh and can be filled with any compost or planting mix. The new Alegria Soxx farm consists of 13 rows of five Soxx each, for a total of 7,800 linear feet of growing space within an 8,500 square foot area (approximately one fifth of an acre). GardenSoxx drain easily and provide aeration and cooling to keep the root zone stable. The rich organic soil is supported within a controlled environment allowing greater nutrient density to be achieved and weed growth is reduced which decreases labor. Production yields are expected to be nearly double that of conventional farming. Water usage is estimated to be 70 percent less and fertilizer use 50 percent less. Other cost savings such as being weed-free are expected to increase the return on investment of the new urban microfarm. Thirteen different specialty crops including several cultivars of beets, onions, red and green romaine, radicchio, red and green cabbage, chard, celery and kale are being grown to demonstrate the versatility of the system and prove that urban microfarms can be profitable with no subsidies required. The controlled growing environment assures superior nutrient-dense produce, high yields and faster growth rates. Alegria Soxx Farms create jobs and can be employed in densely populated urban environments to provide access to superior, locally grown food. For more information about the GardenSoxx or hydroponic vertical farming products offered at Alegria Farm, please visit http://www.alegriafarms.com/ . Alegria Fresh designed and manages Alegria Farms, showcasing urban hydroponic vertical and organic GardenSoxx farm systems. The hydroponic vertical farm employs over 120 hydroponic vertical towers growing over 8,000 plants in less than 1/20th acre. The organic Soxx farm consists of 13 rows of five GardenSoxx each, for a total of 7,800 linear feet of growing space within an 8,500 square foot area (approximately one fifth of an acre). 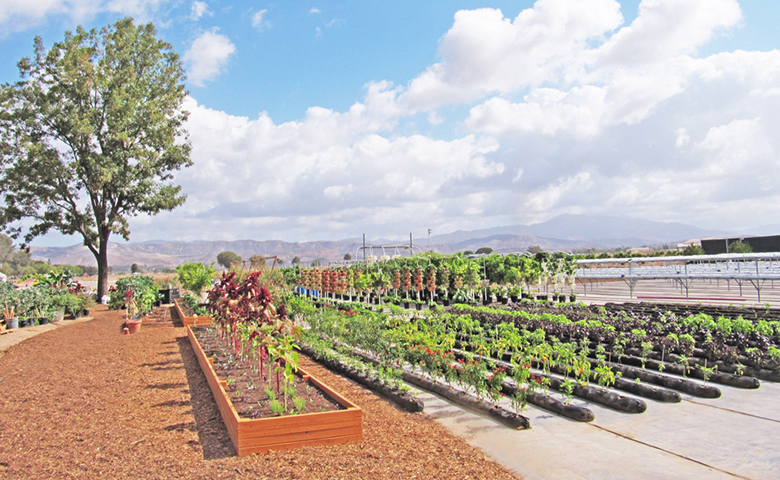 Alegria Farm is part of the interactive urban agricultural exhibit at the Orange County Great Park in Irvine, California. Alegria Farm is Orange County’s first hydroponic vertical farm and organic GardenSoxx farm and the first West Coast showcase for vertical hydroponic systems which uses no soil, 80 percent less water, requires 70 percent less land and 50 percent less fertilizer than traditional farming. This high performance growing system produces clean, natural food faster and allows plants to grow bigger and stronger, making plants naturally more pest resistant. Alegria Farm produces an exotic variety of leafy greens, medicinal herbs and heirloom vegetables. Hydroponic farming is soilless and utilizes coconut fiber instead of organic soil, and produces strong plants that are nutrient-rich. For more information on Alegria Fresh or to schedule a tour of the farm, please visit www.AlegriaFresh.com or follow on Facebook and Twitter. Alegria Fresh is the high-performance urban agriculture division of EnviroIngenuity, a company dedicated to reducing waste. Visit Alegria Fresh at http://www.AlegriaFresh.com/ or Alegria Farm athttp://www.AlegriaFarms.com/ and EnviroIngenuity athttp://www.EnviroIngenuity.com/ . One of the oldest remaining farm companies in southern California, Orange County Produce, LLC, has farmed within the rural urban environment of OC for over half a century. The company is managed by A.G. and Matthew Kawamura, third generation growers and shippers of fresh produce. A.G. Kawamura is the former California Secretary of Agriculture where he served from 2003 to 2010 and is actively involved in developing policy in the areas of education, hunger and nutrition. He serves as the co-chair of Solutions From the Land, a United Nations Foundation project that is developing a sustainable roadmap for 21st century agricultural systems. Orange County Produce, LLC, engages in year-round production and marketing of fruits and vegetables. Dedicated team members work creatively to resolve hunger and nutrition problems within the local community and educate the public about the art and science of urban farming and the challenges facing our food system. Orange County Produce, LLC, is currently engaged in building an exciting, interactive urban agricultural exhibit at the Orange County Great Park in Irvine, California. Visit Orange County Produce at http://www.OCProduce.com/ . Filtrexx Corporation is a proven green technology firm that designs and manufactures products used in more than 100 applications. The Filtrexx GardenSoxx system uses locally made, annually renewable, bio-based, recycled compost and other organic materials, contained by the company’s Made in USA mesh containment system to create patented products used around the world. The all-natural Filtrexx system is currently in use in nine countries, including every US state and province in Canada. For more info, visithttp://www.GardenSoxx.com/ .